Reason: Blue Buffalo is voluntarily recalling one lot of its Blue Buffalo Life Protection Formula dog food due to the presence of moisture and mold. Reason: Blue Buffalo, is recalling one lot of its Cub Size Wilderness Wild dog chews because of potential contamination with Salmonella bacteria. Reason: Salix Animal Health of Deerfield, Florida, is recalling one lot of its Good ‘n’ Fun Beefhide Chicken Sticks because of potential contamination with Salmonella bacteria. On October 25 the recall was expanded by the company. Reason: The U.S. Food and Drug Administration is recalling Dingo Chip Twists “Chicken in the Middle” dog treats because of potential contamination with amantadine. Dog training at all times should be fun for both dog and owner. In order to minimize failure and maximize success, there are some thing that should be avoided when owners start to train their dog. 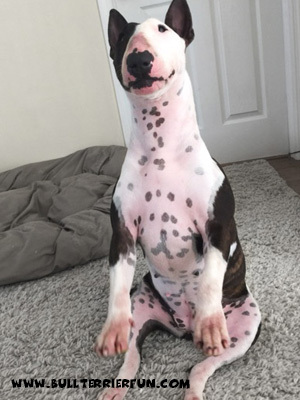 When new to dog training many inexperienced owners start off with the fancy stuff, such as trying to teach their dog how to sit pretty. Some wonder why the dog “does not get it” and eventually give up on dog training thinking their dog is just not smart enough. In reality dogs may have different learning speeds just as humans, but in general every dog is smart enough for dog training. Those exercises are a lot easier to teach than many trick exercises simply because they involve actions that are more natural to the dog. A dog naturally sits, walks or waits at some point. So it is a lot easier to “catch” those behaviors, reward and train them during dog training. Once the dog is used to the training it will become easier to train more complicated exercises and the already learned ones may even help on the way to the more complex stuff. The basic obedience exercises are also a perfect way for your dog to mature into a well behaved citizen. So starting off with these actually serves two purposes. Dog Food Recall Alert on “Instinct Raw Frozen Diets Chicken Formula for dogs”! Reason: Nature’s Variety of St. Louis, Missouri is recalling select lots of its Instinct Raw Frozen Diets Chicken Formula for dogs because of possible contamination with Salmonella bacteria. Dog Food Recall Alert on “Bravo Chicken pet foods for dogs and cats”! Reason: Bravo Pet Foods of Manchester, CT, announced it is is recalling select lots of its Bravo Chicken pet foods for dogs and cats because of possible contamination with Salmonella bacteria. 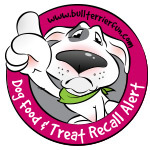 Dog Treat Recall Alert on “Tremenda Sticks Dog Chews”! Reason: Natural Dog Company of Windsor, Colorado, is recalling select batches of its Tremenda Sticks Dog Chews because of possible contamination with Salmonella bacteria.